Maje is, above all, a family story of Judith Milgrom. Founded in Paris in 1998, the brand offers a bold, modern and urban style. The brand’s first store opened on the left bank of the Seine, in the 6th district of Paris and is now present across 37 countries with 448 points of sale. 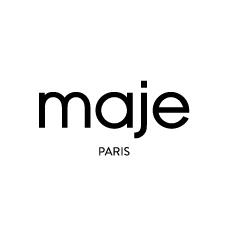 Over the years, Maje has successfully developed a wide collection ranging from ready-to-wear to accessories and has managed to establish itself as a leading brand of accessible luxury. Built on both trend-led and classic pieces with subtle details and twists, the brand has a resolutely feminine silhouette that is understated yet glamorous.